Proof of human ingenuity five millennia ago fits Armenians’ sense of themselves as ancient nation. The discovery of a shoe dating back over 5,000 years has boosted Armenians’ pride in their ancient heritage, as well as pleasure at being in the headlines for a positive reason. More practically, the find could encourage greater foreign interest in Armenia and its archaeological heritage. The moccasin, made from a single piece of cowhide, was found in a cave in the tiny village of Areni in the Vayots Dzor region in 2008. It shot to fame only recently, when recent carbon dating shows that it could be 5,600 years old. That makes it the world’s oldest item of all-leather footwear, although sandals found in Missouri date back still further. An ARCHAEOLOGICAL dig where the Orkney Venus was found last year has entered an "exciting phase" as excavations resumed. Archaeologists hope the Links of Noltland dig will reveal more about people who lived on the Orkney island of Westray thousands of years ago. The sand dunes protecting the area have been reduced by winds over the past few decades. Work on one of Britain's least understood ancient sites is to start. Marden Henge has been almost destroyed by ploughing and no longer has any standing stones, but encloses an area of 15 hectares (37 acres). A mound at the centre of the Wiltshire site still exists, which English Heritage archaeologists plan to spend six weeks delving into. An excavation that hopes to reveal the secrets of the largest prehistoric henge enclosure in the country has begun at Marden, near Devizes. Marden Henge, thought to date back to between 2400BC and 2000BC, is the largest but least understood ancient monument in Britain. It measures 10.5 hectares, considerably bigger than Avebury, and was last investigated in 1969 when Professor Geoffrey Wainwright dated the henge from fragments of deer antler found in the area. Archaeologists hope the Links of Noltland dig will reveal further finds to help discover more about people who lived on the Orkney island of Westray thousands of years ago. According to a Jan. 1, 2010 BBC news article, by BBC News science reporter, Paul Rincon, "DNA analyzed from early European," scientists have studied and extracted DNA from the remains of a 30,000 year old European cave man who hunted wild mammoths in the region of Kostenki, Russia about five to ten thousand years before the last ice age began, at a time when Russia was warmer than it is today. Also, in another study, scientists found that about 4 percent (from 2% to 5%) of Europeans, East Asians, Papua-New Guineans, but not any Africans, have inherited Neanderthal genes, at least traces of them. The prehistoric man is known as the Markina Gora skeleton. HISTORIANS are probing links between an ancient dugout canoe discovered on the banks of the Boyne and the landmark Newgrange site. The canoe, which has an unusual design and is believed to be unique in Ireland, was yesterday removed from the river by experts from the National Museum. It was discovered two weeks ago by two local fishermen, Ivan Murphy and Kevin Tuite, who immediately contacted the authorities. The Birley family have toiled for 60 years to unearth Roman artefacts at Vindolanda Roman Fort in Northumbria, says Juliet Rix. In a picturesque Northumbrian valley a mile south of Hadrian's Wall, Andrew Birley stands surrounded by a checkerboard of Roman remains. He is supervising a small crowd of volunteer excavators unearthing a 1,600-year-old flagstone road. They have just dug up a small stone altar with a potentially interesting inscription. Andrew is the third generation of his family to run the excavations here at Vindolanda Roman Fort. It's an unusual family business. Bulgaria's newest archaeological complex consisting of a tomb of an Ancient Thrace aristocrat and displaying a uniquely preserved Thracian chariot has been opened in the village of Karanovo Saturday. Exciting excavations at Nevern Castle recently unearthed what is thought to be the largest group of 12th century buildings in Pembrokeshire. The third season of excavations were directed by Dr Chris Caple from Durham University, supported by national park archaeologist Peter Crane. The team also included students from Durham and Lampeter University and volunteers from Cardigan, Newport and Nevern. Hundreds of churches, chapels and synagogues will be added this week to the dismal inventory of historic buildings at risk, after the first attempt by English Heritage to assess the health of England's places of worship – the largest and most important category of listed buildings. However the report, to be released on Wednesday, is not as bleak as many feared. It is expected to show that one in nine (11%) of all places of worship are in poor or very poor condition and therefore at risk, based on a representative sample survey of almost 1,500 buildings. The remainder are in fair or good condition, greatly valued both by the worshippers and the surrounding community, and often well supported and maintained through heroic efforts by tiny regular congregations. A 4,000 year old necklace is in The National Museum of Ireland after it was found in a dumpster. Worn by early kings the necklace, called a lunala, and discs were worn by the early kings of Ireland. It is thought to day from between 2,300 and 1,800 BC. In March 1945 it was found in Coggalbeg, County Roscommon by farmer Hubert Lannon. He found it in a bog while he was cutting turf and kept it in his home. PREHISTORIC art 3,000 years old was discovered by chance in woodland by a council worker while carrying out routine maintenance work. John Gilpin, a woodlands officer in the Parks and Countryside department, stumbled upon the find in Ecclesall Woods. He discovered a boulder with a series of markings, lines and cuts - which, after being examined by experts, has been declared a significant archaeological find. An archaeological site in southeastern Europe has shown its metal. This ancient settlement contains the oldest securely dated evidence of copper making, from 7,000 years ago, and suggests that copper smelting may been invented in separate parts of Asia and Europe at that time rather than spreading from a single source. The find extends the known record of copper smelting by about 500 years, an archaeological team headed by Miljana Radivojević and Thilo Rehren of University College London reports in an upcoming Journal of Archaeological Science. The pair were joined by Serbian researchers, led by Dušan Šljivar of the National Museum Belgrade, and German scientists directed by Ernst Pernicka of the University of Tübingen. - Archaeologists have discovered the well-preserved remains of a Roman road dating back to the first century in south- eastern Serbia, Belgrade media reported Thursday. The Roman military road, or Via militaris, near the town of Dimitrovgrad used to connect the western parts of the Roman empire with the eastern parts, archaeologists said. 'This road was one of the main roads of the Roman empire,' archaeologist Miroslav Lazic told the Novosti daily. Archaeologists investigating a mass burial of 97 infants at a Roman villa in the Thames Valley believe it may have been a brothel. Tests on the site at Hambleden in Buckinghamshire suggest all died at 40 weeks gestation, very soon after birth. Archaeologists suspect local inhabitants may have been systematically killing unwanted babies. One of Roman Britain's darkest secrets is close to being laid bare by modern science. Experts from English Heritage are examining dozens of infant skeletons buried 17 centuries ago in a quiet valley just north of the River Thames in Buckinghamshire. The remains were unearthed almost 100 years ago by a local archaeologist – and modern specialists in Roman history had assumed that the bones had been reburied. Instead, while examining hundreds of boxes of archaeological material stored in Buckinghamshire's county museum in Aylesbury they rediscovered the remains of each tiny individual, neatly packed into old tobacco boxes and shotgun cartridge containers. A Neolithic burial site in the parish of St Sampson has yielded pottery fragments and flints that date back 4,500 years. They were discovered in a gallery grave, which lies within Delancey Park. Evidence has also been found of related structures that were previously unknown to archaeologists. After speculating for centuries about its location, the royal residence of Harald Bluetooth has finally been discovered close to the ancient Jellinge complex with its famous runic stones in southern Jutland. The remains of the ancient wooden buildings were uncovered in the north-eastern corner of the Jellinge complex which consists of royal burial mounds, standing stones in the form of a ship and runic stones. The Fitzwilliam Museum, founded in 1816, is part of Cambridge University, one of the world’s oldest universities, and houses a world-class collection of art and antiquities. In this film we uncover the secrets of four of its most precious objects: Titian’s great, late masterpiece, Tarquin and Lucretia; the 3000-year old coffins of an Egyptian temple official; a rare 13th Century Gothic manuscript that once belonged to the sister of Louis IX of France; and the haunting impressionist masterpiece, Two Women at a Café, by Degas. BUDDING archaeologists are being encouraged to take part in a follow-up dig at Brechin. It will take place near Cathedral Hall in Bishops Close, the site of a mediaeval cathedral precinct. The dig comes after a successful excavation of the site last year when volunteers unearthed the foundations of 18th and 19th-century buildings as well as the remnants of ancillary buildings associated with the Bishop’s Palace. The palace was built by Bishop Carnock between 1429 and 1450. A DIG started yesterday in a bid to uncover more of the story behind the palatial home of a Northumberland nobleman executed for leading a rebellion. Dilston Castle and Chapel, overlooking the Devil’s Water near Corbridge in Northumberland, was the seat of the Radcliffe family who held the title of Earl of Derwentwater. The 3rd Earl, James Radcliffe, was executed in 1716 for his part in leading the Jacobite rebellion in Northumberland. He had built a magnificent Queen Anne mansion at Dilston, but after his death squatters moved in and the great house was home to up to 18 families. It was demolished in 1768. A SKELETON – thought to be the remains of a Roman gladiator – has gone on display in York. The skeleton is on display at the Jorvik Viking Centre from today. It is one of 80 skeletons unearthed in the city by York Archaeological Trust over the last seven years. A Roman fort which has been discovered in Cornwall is challenging previous historical views about the South West. Pottery and pieces of slag have been found at the undisclosed location near St Austell, suggesting an ironworks. Experts said the discovery challenges previous thinking about the region's history as it had been thought Romans did not settle much beyond Exeter. A Kent State anthropologist says humans walked upright hundreds of thousands of years before previously thought, smashing beliefs about the famous ''Lucy'' skeleton. Three ancient birchbark manuscripts and a seal have been discovered at Troitsky archeological pit in Veliki Novgorod. On June, 17th a schoolgirl named Elizaveta Godunova taking part in the digging found two manuscripts. One of them is a three-line fragment 28 cm long. As roughly estimated by experts it dates back to the early 13th century and, probably, represents a bill of debt, since it monetary units of Old Russia are specified in it. The manuscript has been given the number 974. Data concerning the second manuscript under the number 975 are still specified, but, according to archeologists, these are two independent documents, not related to each other. Digs in Nevern Castle, Pembrokeshire, have revealed what are thought to be the largest group of 12th century buildings in the county. The excavations were directed by Dr Chris Caple from Durham University and supported by Peter Crane, Pembrokeshire Coast National Park Archaeologist. The team also included students from Durham and Lampeter University and local volunteers from Cardigan, Newport and the Nevern area. Dr Caple said: “This season’s excavations enabled us to make good progress in revealing and understanding the structures of the 12th century occupation (two towers and three hall-like buildings) of Nevern Castle. A new doctoral thesis from the University of Gothenburg, Sweden, shows that, in contrast to traditional scholarly claims, Dionysian cultic activities may very well have occurred in archaic Rome in the decades around 500 BC. A strong scholarly tradition rooted in the 19th century denies the presence of Dionysian ecstatic rites, cults, and satyr plays in Roman society. Although people in nearby societies evidently engaged in such behaviour around the same time in history, the Romans simply did not, according to early scholars. British scholars often stressed how much their people had in common with the Romans, not least as statesmen and colonists. SALISBURY, England – Thousands of New Agers and neo-pagans danced and whooped in delight Monday as a bright early morning sun rose above the ancient stone circle Stonehenge, marking the summer solstice. About 20,000 people crowded the prehistoric site on Salisbury Plain, southern England, to see the sunrise at 4:52 A.M. (1152EST), following an annual all-night party. The museum's board chairman Prof. Demetris Pandermalis said the museum received a total of 2,010,641 visitors in that time, had set research and scientific goals, made progress in the area of conservation and also in educational programmes. which describes itself as "The outlandish, the anomalous and the curious from the last five thousand years". A group of American archeologists found ruins of four ancient castles dated back to the 2nd century B.C. in western Turkey. The group including 16 students from the universities of Boston, Pennsylvania and Brown led by Assistant Professor of Archaeology Christopher H. Roosevelt has been searching for ancient ruins in Golmarmara town of the western province of Manisa upon permission of the Turkish Ministry of Culture & Tourism. project across central Lydian landscapes for the past five years. What are your views on the British government’s plans to cut the budget for a new visitor’s centre at Stonehenge? Express your views on the discussions page on the Archaeology in Europe Facebook site. Scientists have identified the first humans to recolonise Britain after the last ice age. The country was taken over in a couple of years by individuals who practised cannibalism, they say - a discovery that revolutionises our understanding of the peopling of Britain and the manner in which men and women reached these shores. Research has shown that tribes of hunter-gatherers moved into Britain from Spain and France with extraordinary rapidity when global warming brought an end to the ice age 14,700 years ago and settled in a cavern – known as Gough's Cave – in the Cheddar Gorge in what is now Somerset. One of Leicestershire's most important archaeological monuments is being excavated for the first time in nearly 40 years. Trenches are being dug up in the Iron Age hill fort at Burrough on the Hill near Melton Mowbray in the hope of finding clues about life from 600BC. The site is being opened to the public on Sunday. Site directors said hill forts were enigmatic monuments which had rarely been scientifically excavated. It's already been shown that hyenas ate humans, but did early humans likewise dine on hyenas? They might have, say Spanish researchers who found evidence of human "processing" of hyena bones in an ancient hyena den. "Although the interaction between hyenas and hominids is a constant throughout human evolution, consumption of these animals by our ancestors has never before been documented," said researcher Antonio Rodríguez-Hidalgo of the Institut Català de Paleoecologia Humana i Evolució Social at the Universitat Rovira i Virgili in Tarragona, Spain. His paper announcing the discovery appeared in a recent issue of the Journal of Taphonomy. The Ministry of Communications and Works (Department of Antiquities) announces the completion of the twentieth excavation season of the Department of Antiquities’ systematic excavations at the site of ancient Idalion. Excavations at the site began in 1991 and continue until today under the direction of the Director of the Department of Antiquities Dr. Maria Hadjicosti who is assisted by Senior Technicians S. Lagos and K. Kapitanis. Five young archaeologists from Greek Universities and the University of Cyprus also took part in the excavation this year. Throughout the twenty-year investigations a total area of two thousand square meters has been investigated on the foothills of Ampileri hill, which was the west acropolis of ancient Idalion. Experts have used scientific dating techniques to verify the historical chronology of ancient Egypt. Radiocarbon dating was used to show that the chronology of Egypt's Old, Middle and New Kingdoms is indeed accurate. The researchers dated seeds found in pharaohs' tombs, including some from the tomb of the King Tutankhamun. They write in the journal Science that some of the samples are more than 4,500 years old. Α large-scale fortified building complex, which could be interpreted as the Palace of ancient Idalion or its Administrative Center, has been excavated by the Department of Antiquities. According to an announcement, issued on Friday by the Ministry of Communications and Works, the twentieth excavation season of the Department of Antiquities’ systematic excavations at the site of ancient Idalion has been completed. In a world of specialisms you can fool all of the people some of the time because every case has its own detailed context. We know we don't know all the pros and cons. But the sad story of Stonehenge is one I have followed for the last few years, so this week's ugly betrayal of our greatest national monument is something I know is wrong. The coalition's first cultural cuts include the cancellation of plans for a £25m visitor centre at Stonehenge: a callous and unjustified assault on a wonder of the world. These cuts are presented as the hacking away of Labour excess, the pragmatic cure for the last lot's fiscal foolery. However, there was nothing excessive, careless or even generous about this plan for Stonehenge. It was in fact a parsimonious, limited, and barely adequate solution to what has long been recognised as the disgracefully shabby presentation of this world-famous site. A site at Marden, near Devizes, rivalled Stonehenge and Avebury in its day, says English Heritage. The group is about to undertake a six-week dig at the site close to the village, starting on June 28. Unlike Stonehenge and Avebury, Marden Henge no longer has any surviving standing stones, but its sheer size is astounding. The focus will be on history this weekend (Jun 19-20) at the site of the East Kent Access road in Richborough, where people will see what archaeologists have discovered. Experts from the Trust For Thanet Archaeology, the Isle of Thanet Archaeological Society and Kent Archaeological Society will be at the free event from 10am to 4pm on both Saturday and Sunday. The area became the gateway to England for the Romans, who landed nearby in 43AD and built a fortress. Archaeologists in Cyprus have discovered what could be the remains of a garrison used by Phoenician soldiers in an ancient city founded by a hero of the Trojan war. Buildings overlooking a previously discovered Phoenician complex more than 2,000 years old were found at the ancient city of Idalion, the island's Antiquities department said on Friday. The complex, linked by a tower, were found to discover metal weapons, inscriptions and pieces of a bronze shield. A grave of a man filled with burial gifts, dating from the early Neolithic period, was recently discovered by archaeologists Georgi Ganetsovski from the Vratsa History Museum, during the renewed excavations of the prehistoric settlement in the Valoga area near the north-western Bulgarian village of Ohoden. The prehistoric man’s skeleton is amazingly well preserved, although it has been underground for almost 8,000 years, Ganetsovski explained, cited by national media. The archaeologist said that the man’s body was laid on its back and his legs were bent to the left, in a pit that was especially dug out for it. Next to the man’s head was found a fully preserved ceramic, spherical vessel, and next to his right shoulder – a flint knife. The traces of the burial ceremony, according to Ganetsovski, can be easily seen. The remains of an ancient Roman town were on Thursday unveiled to the public in the centre of the Bulgarian capital Sofia. Excavation of the site -- which currently includes a Roman palace, baths and burial sites, as well as a more recent 13th century church -- began several years ago. It is hoped that the remains will be preserved as a major heritage site and tourist attraction. Archaeologists believe the site -- which formed the intersection of the two major streets of the ancient Roman town Ulpia Sedica -- could prove even more extensive, with at least two more Roman palaces waiting to be uncovered. So British scientists have proved some bones found in Magdeburg Cathedral to be the remains of our Anglo-Saxon Princess Eadgyth. At least, science helped. Eadgyth was known to have been buried in Germany: in 2008 archaeologists there opened her tomb, and found a lead box containing bones from a woman of the right age, with an inscription saying they were her remains. In a more innocent age, this might have been enough to settle the case. But today we like science, the full CSI drama. Yet before we get too cynical about Eadgyth (the science showed that the woman in Magdeburg probably grew up in southern England), we should recognise that the technique used is transforming the way we think about our ancient and early historic past. Something big is going on. Starosel. Ivan Hristov, deputy director of the National Museum of History, suggests the residence of the Thracian king Seuthes might have been at the mount of Kozi Gramadi, close to the southern village of Starosel. The exploration of the site resumes on July 1. “It has unique architecture in terms of decoration and location. All this resembles a lot the description of Seuthes’s residence. He was the ruler of the coastal regions of Thrace. Xenophon, a Greek historian, soldier, mercenary, says Seuthes resided in a reinforced tower. For anyone interested in the kings and queens of England it was a touching moment last year to see the heavy tomb cover lifted in Magdeburg Cathedral. The inscription said the occupant was Eadgyth, queen of the Germans, the Anglo-Saxon granddaughter of Alfred the Great, sister of Athelstan the first king of a united England. But was it really her? Now the results of the scientific examination are through: isotopes from her tooth enamel confirm that this early medieval woman, a regular horse rider who died in her mid-30s, had indeed spent her first years in southern England. It is her, after all. SagaMedica’s online store has launched “SagaVita”, a herbal cold remedy made from Icelandic angelica herb; the same plant Vikings used in herbal medicine a thousand years ago. There are absolutely, and without a doubt, no accounts of Leif the Lucky ever having suffered from a cold infection. Leif, like other Vikings, was probably an avid consumer of the angelica herb. And justifiably so, it would seem, as modern research suggests antiviral angelica remedies may be used for preventing colds and other seasonal illnesses. Government funding for a £25 million project to build a new visitor centre at Stonehenge has been axed as part of a review of public spending projects. The withdrawal of public funding for the plans – which include a new visitor centre and closing an adjacent main road – is the latest setback to efforts to improve the World Heritage Site. But the Treasury said that if non-government funding was identified, the scheme to revitalise the prehistoric site could still go-ahead. Ancient remains have been found in Jersey, which could be the first Roman dwellings found in the island. Excavations were made at Grouville Church as part of work to extend the building, when archaeologists were called in to monitor the work. The Reverend Mike Lange-Smith, rector of the church, said a post hole of a Roman period building was uncovered with pottery remains. Scientists have revealed that they think bones found in a German cathedral are those of one of the earliest members of the English royal family. The remains of Queen Eadgyth, who died in 946, were excavated in Magdeburg Cathedral in 2008. The granddaughter of Alfred the Great, King of Wessex, the Saxon princess married Otto I, Holy Roman Emperor, in 929. Some of the earliest pottery ever found in Britain has been unearthed on farmland on the Norfolk Broads. The Neolithic flints and pottery shards dating back more than 5,000 years were found by the Oxford East Archaeology unit next to Ormesby Broad. They include a loom weight for weaving cloth and a rare whetstone, used for sharpening tools, something normally only found in burial grounds. Archaeology becomes hands-on as visitors join the Dig for Shakespeare! In an exercise that is probably the largest archaeological sieving ever undertaken in the UK, visitors to the Dig for Shakespeare at New Place in Stratford Upon Avon are set to work alongside archaeologists as they sieve through tons of soil removed from Shakespeare’s last home in the town! The massive exercise, which can take place as the result of a £50,000 grant from the Heritage Lottery Fund (HLF), will see the huge pile of soil that has already been removed from the archaeological exploration carefully examined for any small items that have already escaped the eagle-eyed archaeologists who are digging at the site of Shakespeare’s final home to unearth more secrets about the writer’s later life. A group of Romanian speleologists recently discovered in a cave in north-western Romania a series of drawings from the Palaeolithic Period, thought to be the oldest of their kind in Central Europe. The cave drawings were found in the Coliboaia cave in the Bihorului Mountains, on the territory of the Apuseni National Park, the Mediafax news agency reported recently. According to the speleology experts, the newly discovered drawings portray a variety of animals, including a bison, a horse, a bear’s head, two rhinoceroses and members of the cat family. An image of a female torso was also found, which is throught to have a symbolic role. The Middle Awash area of Ethiopia is the most persistently occupied place on Earth. Members of our lineage have lived, died, and been buried there for almost six million years. Now their bones are eroding out of the ground. Step by step they record how a primitive, small-brained primate evolved to conquer a planet. Where better to learn how we became human? In the Afar desert of Ethiopia, there are a lot of ways to die. There is disease, of course. One can also perish from wild animal attack, snakebite, falling off a cliff, or in a shoot-out between one of the Afar clans and the Issa people across the Awash River to the east. She ate lots of fish, rode frequently, may have suffered from a disease or an eating disorder at 10 and regularly moved around the chalky uplands of southern England, presumably as she followed her regal father around his kingdom. Analysis of remains found in a German cathedral have not only confirm they belonged to the granddaughter of the English king Alfred the Great but also given an insight into the life and times of a Saxon princess. The copper piece was found in the ground last week in a stone wall in Coventry by Caroline Rann. Scientists are to announce that bones found in a German cathedral are those of one of the earliest members of the English royal family. THE savagery of gladiatorial battles was depicted as Channel 4 investigated the discovery of 80 skeletons at a York archaeological dig. As reported in The Press, the 80 skeletons, the majority of large, powerfully-built men dating from Roman times, were found at a dig in Driffield Terrace, Holgate. Archaeologists, students and volunteers are taking part in the three-week dig, which is focusing on the defensive ditch in front of the 12th Century castle, and earthworks at the rear. It has been organised by the Glamorgan-Gwent Archaeological Trust (GGAT), with funding from heritage body Cadw. Tours of the excavation site are being arranged. The work precedes a proposed £1.7 million revamp of the castle, thanks to Lottery funding. Romanian experts have discovered the most ancient cave paintings found to date in Central Europe, aged up to 35,000 years old, Romanian and French scientists said Sunday. The pictures show animals including a buffalo, a horse and even a rhinoceros. "It is for the first time in Central Europe that... art this old has been found and confirmed", said a joint statement from the Romanian Federation of Speleology -- the scientific study of caves -- and Jean Clottes, an expert working with UNESCO. In the time before Columbus sailed the ocean blue, a cooler central Pacific Ocean has been connected with drought conditions in Europe and North America that may be responsible for famines and the disappearance of cliff dwelling people in the American West. A new study from the University of Miami (UM) has found a connection between La Niña-like sea surface temperatures in the central Pacific and droughts in western Europe and in what later became the southwestern United States and Mexico, as published in a recent issue of Geophysical Research Letters. The proud Roman general stood with his commanders and retinue as the wild hillsmen, dressed in the ragged but still-flamboyant clothes of corsairs, fell before him in turn, begging for clemency. It was about 75 B.C. in the rugged hills near Coracesium in Cilicia, an untamed region along the coast of southwestern Asia Minor, and the Cilician pirates, possibly the most successful race of brigands the world has ever seen, were surrendering to the Roman general Pompey. The Thunderstone Mystery: What's a Stone Age Axe Doing in an Iron Age Tomb? "If one finds something once, it's accidental. If it is found twice, it's puzzling. If found thrice, there is a pattern," the archaeologists Olle Hemdorff and Eva Thäte say. In 2005 the archaeologists investigated a grave at Avaldsnes in Karmøy in southwestern Norway, supposed to be from the late Iron Age, i.e. from 600 to 1000 AD. Avaldsnes is rich in archeological finds. They dot an area that has been a seat of power all the way back to around 300. Archaeologist Olle Hemdorff at the University of Stavanger's Museum of Archaeology was responsible for a series of excavations at Avaldsnes in 1993-94 and 2005-06. Time Team star Tony Robinson has backed a campaign by VisitScotland, Scotland’s national tourism board, promoting archaeological tourism in the country of such world-renowned UNESCO Heritage Sites as St Kilda and Skara Brae, and remarkable heritage treasures including The Lewis Chessmen and the Orkney Venus. The message to visitors: forget all those dull clichés about tartan, haggis and caber tossing, and instead get around the country and discover a rich well of history which runs many thousands of years deeper than William Wallace and the narrow vision of Scotland’s past popularised by Braveheart. Scotland’s history runs through the Viking and Roman eras, all the way back to the Neolithic period, when a number of Britain’s first settlements – some of them remarkably advanced – were founded. Issue 12 of The Post Hole is out now! Issue twelve of The Post Hole is here. A Viking boat will be burnt on Broadstairs beach as part of a school’s celebrations to mark its links with the past. The 32ft-long Viking longship will burn brightly on the beach for about 50 minutes on the evening of Saturday, June 26. The fire will be lit at 8pm and everyone is invited to attend Viking Bay to watch the spectacle, which is being held to mark Bradstow School’s 100th birthday. Archaeology in Europe now has a new new website. A new find has given archaeologists a rare foothold on Copper Age life. Excavations of an Armenian cave have uncovered the oldest known leather shoe, a slip-on, lace-up model from roughly 5,500 years ago. It’s about the size of a woman’s size 7 today. A team led by archaeologist Ron Pinhasi of University College Cork in Ireland, found the shoe in 2008, under a broken jar at the bottom of a shallow, plastered pit in the Areni-1 Cave. A deer’s shoulder blade, two wild-goat horns, a fish vertebra, scattered reeds and pottery shards also rested in the pit. A 6,000-year-old preserved human brain was also recovered at Areni-1 in 2008. Your mother was right: Fish really is "brain food." And it seems that even pre-humans living as far back as 2 million years ago somehow knew it. A team of researchers that included Johns Hopkins University geologist Naomi Levin has found that early hominids living in what is now northern Kenya ate a wider variety of foods than previously thought, including fish and aquatic animals such as turtles and crocodiles. Rich in protein and nutrients, these foods may have played a key role in the development of a larger, more human-like brain in our early forebears, which some anthropologists believe happened around 2 million years ago, according to the researchers' study. Creswell Crags, the limestone gorge on the border between Derbyshire and Nottinghamshire, has for years offered up its secrets to archaeologists in search of evidence of the Ice Age inhabitants of its mysterious caves. Perhaps most famous among these is Church Hole, which in 2003 yielded the only known Ice Age art in Britain. Further archaeological finds across the site date back between 10,000 and 50,000 years and include flint and bone tools and carvings, proving that Ice Age hunters visited the site to hunt reindeer and horse. It was made of a single piece of leather and was shaped to fit the wearer's foot, the researchers say. They have published details of the discovery from south-east Armenia in the journal Plos One. One of the most significant but least researched sites along the Roman frontier in the north of England is to be transformed into a new visitor destination as part of the ongoing programme of renewal across the Hadrian’s Wall UNESCO World HeritageSite. Roman Maryport is to be the first in a string of linked attractions which stretch across the entire breadth of the country that will eventually provide visitors with what Hadrian’s Wall Heritage Ltd are describing as a “cohesive Roman frontier narrative” threaded through sites along the Wall Corridor, with each destination centred on a specific theme. This documentary highlights the Aegean coastal region of Anatolia in today’s southwestern Turkey. Densely settled in Classical times, this region featured some of the most important cities in the ancient world of the eastern Mediterranean. Among these are Ephesus, famous for the Library of Celsus and the Temple of Hadrian; Pergamon, a very large city whose library rivaled that of Alexandria; Miletus, one of the oldest ancient cities of the region; and Helicarnassus, with its Mausoleum,one of the Seven Wonders of the Ancient World. It was not necessary to be literate to be able to access rune carvings in the 11th century. At the same time those who could read were able to glean much more information from a rune stone than merely what was written in runes. This is shown in new research from Uppsala University in Sweden. Rune stones are an important part of the Swedish cultural environment. Many of them are still standing in their original places and still bear witness about the inhabitants of the area from a thousand years ago. 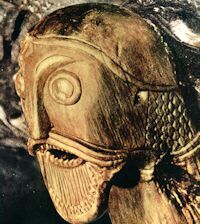 They thereby represent a unique source of knowledge about the Viking Age, providing us with glimpses of a period we otherwise would have known very little about. Among other themes, they tell us about family relations, travels, or matters of faith, and all of it in a language that scholars can understand fairly readily. Archeologists are taking 3D images of the Place of Caves beneath the castle and city of Nottingham, known as the place where Robin Hood was once held captive. Scientists at Nottingham University's Trent and Peak Archaeology use laser scanners to make 3D images that can be used to monitor changes within a cave over the years. The caves once included living quarters, malt brewing shops, cellars, a tannery, and a prison, bsnonline reported. A 2,000-year-old kiln is to be returned to its original home in Highgate Wood. The Roman clay kiln, the only one of its kind in London, was discovered during excavations of Roman pottery across half a hectare of the northern end of the wood between 1966 and 1974 and has since been housed at Bruce Castle Museum in Haringey. Here's a short bit of interview with NPR's Melissa Block and John Walker, the chief executive of the York Archaeological Trust. Last month we reported on the discovery of an animal bone that contained Arabic writing from the 8th-century. The find came from construction taking place in Istanbul - the Marmaray project, which will create a link between Asia and Europe underneath the Bosphorus. Here, Dorian Jones of Eurasianet provides a detailed video report about the project and the archaeological finds it has led to, including the discovery of the city’s largest Byzantine-era harbor, Port Theodosias. ARCHAEOLOGISTS yesterday began the latest stage in a hunt for traces of a long-lost mediaeval monastery in the north-east. 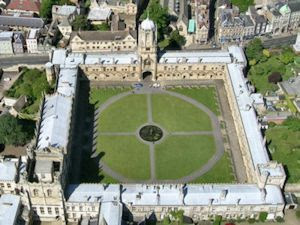 The experts want to excavate the home of the Book of Deer, which was written by Scottish monks around the 10th century. The gospel book contains the earliest examples of Gaelic literature and is thought to be the oldest-surviving manuscript in Scotland. Waiting in line at the drive-through may be a drag, but it sure beats what our ancestors had to do for fast food. Try take-out lion. A Spanish team reports Neanderthals likely hunted and ate a big cat at a cave site. In the current Journal of Archaeological Science, a team led by Ruth Blasco of the Universitat Rovira i Virgili in Tarragona, Spain, describes lion bones found at the Gran Dolina site in Sierra de Atapuerca. The cave contains hundreds of animal bones, largely red deer and horses, but also a few carnivores in rock layers dating to 250,000 to 350,000 years ago. It sounds like the opening to a television forensics drama. On a sunny September day in 1991, a German couple hiking through the Alps make a gruesome discovery. Initially, the corpse partially jutting out of the melting ice is thought to be from a recent mountaineering accident. But on closer inspection, a far more stunning revelation emerges. The body is that of a murder victim; a murder that transpired five millennia ago. Dated to around 5,300 years old, the remarkably well-preserved Neolithic Iceman came to be known as Ötzi, after the Ötztal region of the Austrian-Italian border where he was found. Scientists have now revealed their fascinating findings from a new detailed examination of the mummy of the boy-king Tutankhamun. Join Joyce Filer on this study day to debate and explore King Tut's (probably) cause of death, the Pharoah's medical conditions, his parentage (or which members of his family have been identified) and what sort of tests (DNA, CT-scan, ...) were used to examine Tutankhamun's body. A cave complex boasting prized prehistoric paintings will reopen after eight years of closure, despite scientists' warnings that heat and moisture from human visitors damage the site known as the Sistine Chapel of Paleolithic Art. After studying about a thousand inscriptions on ancient rune stones scattered around Scandinavia, a researcher from Uppsala University in Sweden has come to the conclusion that many of the carvings are gibberish. The researcher claims that the Vikings who carved them couldn’t write and the people who saw them couldn’t read. We are very sorry to have to inform our visitors that the Tarbat Discovery Centre will close at the end of 2010 unless we can secure funding to maintain our continuing operation. We have launched an Appeal and would like to ask for your help in saving the museum at Portmahomack. Our exceptionally beautiful centre, made to commemorate and celebrate the discovery of Scotland’s first Pictish monastery, is situated in the restored church of St Colman, a beloved landmark over-looking the Dornoch Firth on the Tarbat Peninsula in northern Scotland. The first small Christian community arrived here in the late 6th century probably from Iona, and the monastery was perhaps founded by St Columba himself at the culmination of his long journey up the Great Glen into the heart of the Pictish nation. The haunting mystery of Britain's headless Romans may have been solved at last, thanks to scars from a lion's bite and hammer marks on decapitated skulls. The results of forensic work, announced today, on more than 80 skeletons of well-built young men, gradually exhumed from the gardens of a York terrace over a decade, suggests that the world's best-preserved gladiator graveyard has been found. THE HAUNTING mystery of Britain’s headless Romans may have been solved at last, thanks to scars from a lion’s bite and hammer marks on decapitated skulls. The results of forensic work, announced today, on more than 80 skeletons of well-built young men, gradually exhumed from the gardens of a York terrace over a decade, suggest that the world’s best-preserved gladiator graveyard has been found. Many of the 1,800-year-old remains indicate much stronger muscles in the right arm, a condition noted by Roman writers in slaves trained from their teens to fight in the arena. Advanced mineral testing of tooth enamel also links the men to a wide variety of Roman provinces, including North Africa, which was another feature of gladiator recruitment. THESE skeletons may be part of the world’s only well-preserved Roman gladiator cemetery, an archaeologist said yesterday. Researchers discovered the remains, some of which feature marks that could reflect the violent manner in which some individuals died, during a continuing archaeological and forensic investigation in York. Kurt Hunter-Mann, a field officer at York Archaeological Trust who is leading the investigation, said bite marks on one of the skeletons helped steer the team to their preliminary theory. THE most important Viking settlement ever found in Europe would have been lost forever were it not for an Augustinian priest who led the public campaign to halt its destruction by Dublin Corporation. Fr FX Martin, the leader of the 'Save Wood Quay' campaign in the 1970s, was honoured at a ceremony in the National Library yesterday after it acquired his personal papers relating to the struggle, which ultimately failed to stop the local authority from building its civic offices on the site. Discovered in the late 1970s, there was a public outcry over the decision to destroy the archaeological remains of what was regarded as one of the most important Viking sites in Europe. IT WAS twice burnt to the ground by rebellious Welsh princes and it was once “Camelot” for the ancient lords of Gower. Now members of the public are being invited to help professional archaeologists discover the secrets of Oystermouth Castle, which overlooks Swansea Bay at Mumbles. The Glamorgan Gwent Archaeological Trust is carrying out a dig at the castle ahead of a £1.7m restoration project, including £800,000 of National Lottery Heritage Fund money. Archaeologists sitting in front of a PC, dig up one of the largest burial mounds from Viking Age. Recently they have discovered seven new mounds in an area that already has many others. “Sparbu of Nord-Trøndelag is about to become the richest of these historical relics,” said county archaeologist Lars Forseth. The archaeological excavations of the Roman fortress Sexaginta Prista, located near the city of Ruse in north-central Bulgaria, will continue during the summer of 2010 into previously unexplored parts. The archaeologists Varbin Varbanov and Deyan Dragoev this summer will study the area to the north of the temple of Apollo, which was discovered in 2006. During last year’s excavation season, archaeologists found fragments of Celtic ceramics, which proved the Celtic presence in the region. Overall, in 2009, 25 square metres of the Sexaginta Prista Fortress were excavated. British archaeologists are battling with an Italian farmer to save the site of an ancient aqueduct which provided Rome with fresh water 1,900 years ago. In January father and son team Edward and Michael O'Neill discovered the headwaters of the aqueduct, which was built by the Emperor Trajan, hidden beneath a crumbling 13th century church north of Rome. A sophisticated example of Roman hydraulic engineering, the aqueduct, known as the Aqua Traiana, was inaugurated in 109AD and carried fresh water 35 miles to the imperial capital. Neanderthal man was living in Britain at the start of the last ice age - 40,000 years earlier than previously thought, archaeologists have said. Francis Wenban-Smith from the University of Southampton discovered two ancient flint hand tools used to cut meat at the M25/A2 road junction at Dartford, Kent, during an excavation funded by the Highways Agency. Tests on sediment burying the flints showed they date from around 100,000 years ago - proving Neanderthals were living in Britain at this time. Susan Buckland crawls into a ditch in the name of archaeology at a Roman fort on Hadrian's Wall. 'Join Marilyn in the drain," instructs the site supervisor when I pitch up at Vindolanda, a partially excavated Roman fort near Hadrian's Wall. "First dig, then scrape. You don't want to miss anything." Colchester to make UNESCO's elite World Heritage list? The Pyramids, Great Wall of China, Stonehenge and...Colchester? The Essex town is preparing an audacious bid to become a UNESCO World Heritage Site – and it's not as unlikely as it sounds. Destination Colchester, a group of local business owners and heritage enthusiasts, is preparing a bid to be entered onto a tentative list of the UK's heritage sites. If the bid, due next Friday, is successful, Colchester could find itself inscribed alongside famous British landmarks like Bath Spa, Hadrian's Wall and the Tower of London. A Kent cathedral's archaeologist has stumbled on a 600-year-old window - and expects it to lead to an even bigger medieval find. Graham Keevil, the in-house archaeologist at Rochester Cathedral, said his find means there may be a building lying beneath about six feet of soil close to King’s Orchard. The 14th or 15th century window was discovered beneath a Roman wall near the historic building. In Zizers werden durch den Archäologischen Dienst Graubünden einzigartige Gebäudereste aus dem 10. Jahrhundert ausgegraben. Diese können mit dem schriftlich erwähnten Königshof von Otto I. (912-973) identifiziert werden. Dabei handelt es sich erst um den zweiten, archäologisch nachgewiesenen Königshof der Schweiz.